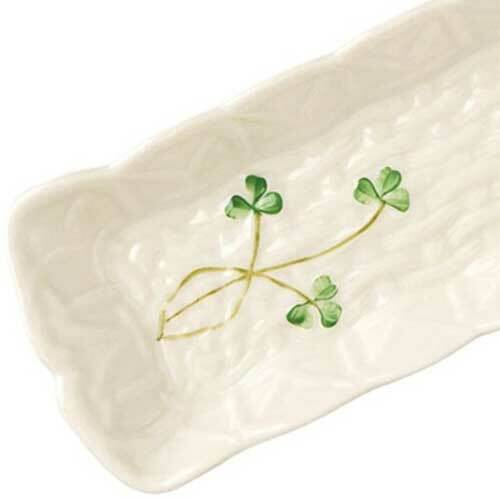 Serve your guests in elegant fashion with this Belleek mint dish that is embellished with shamrocks. 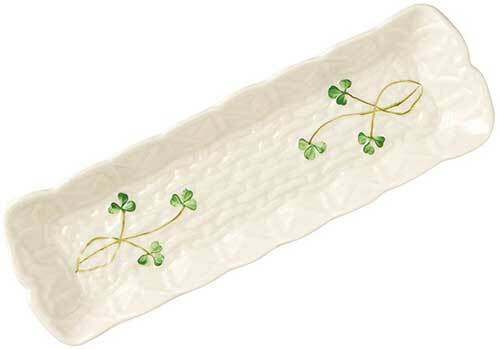 The Belleek shamrock mint tray with hand painted green shamrocks measures 9.5" long. 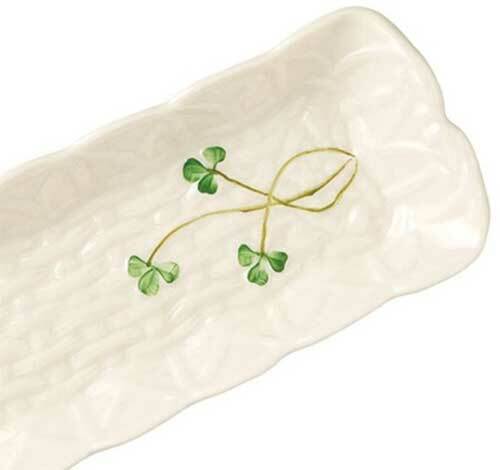 This Belleek dish is hand made in Belleek, Ireland and is gift boxed with the shamrock history.